Buffy is back. BOOM! 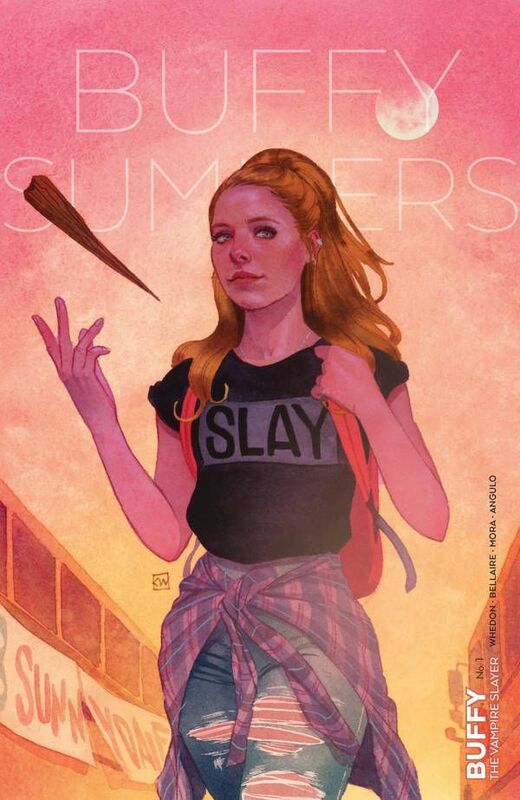 Studios has launched a brand new Buffy the Vampire Slayer comic, taking us back to where it all began with a new take on how the Chosen One rolled into Sunnydale. Instead of retelling the first few episodes of the TV show, we get something new and different. It's a modern-day version, not unlike what the publisher did with Mighty Morphin Power Rangers. 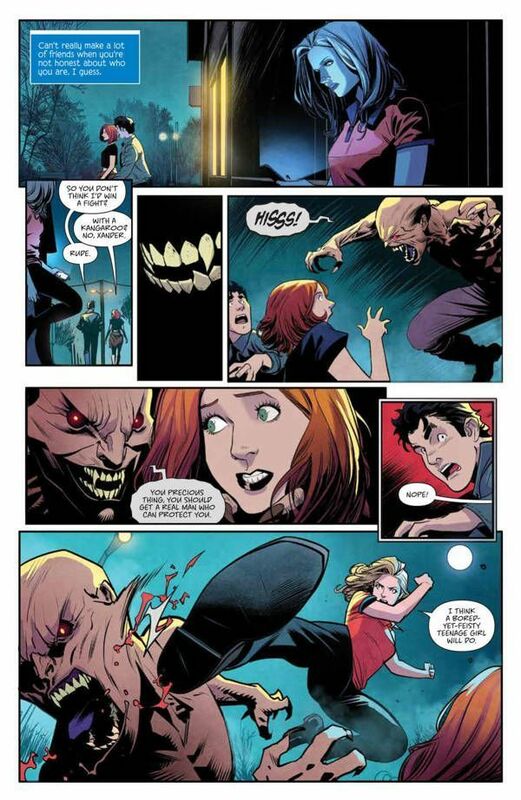 Buffy the Vampire Slayer #1 wastes no time returning to this world and the Hellmouth. 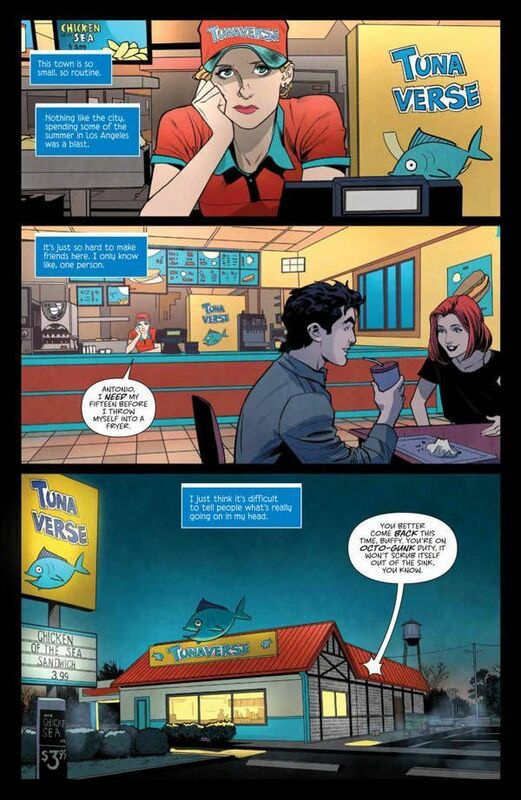 The comic opens with Buffy working at Tunaverse when two customers, Willow and Xander, get attacked by a vampire in the parking lot. She intervenes, opening up a whole bunch of questions from these normies. While we do know these characters already, this is a new way for them to interact and it gives us a different take on them. It has the benefit of seven seasons of a TV show where they were fleshed out, but not in this way. For example, there's a running narration throughout this issue that you're initially led to believe is going in one direction and then takes a hard turn by the end. This is a great twist and really reframes your perspective on some of the characters. Writer Jordie Bellaire did a fantastic job with this. She totally got me with this too. I just made an assumption from the beginning and went with it. The reveal at the end of the book almost forces you to go back and re-read everything with a new set of eyes. This narration is presented as a blog of sorts. Letterer Ed Dukeshire shows this as a prompt on a computer screen. We don't see a blinking cursor or anything like that, but each caption box is like a snapshot of a Word document. 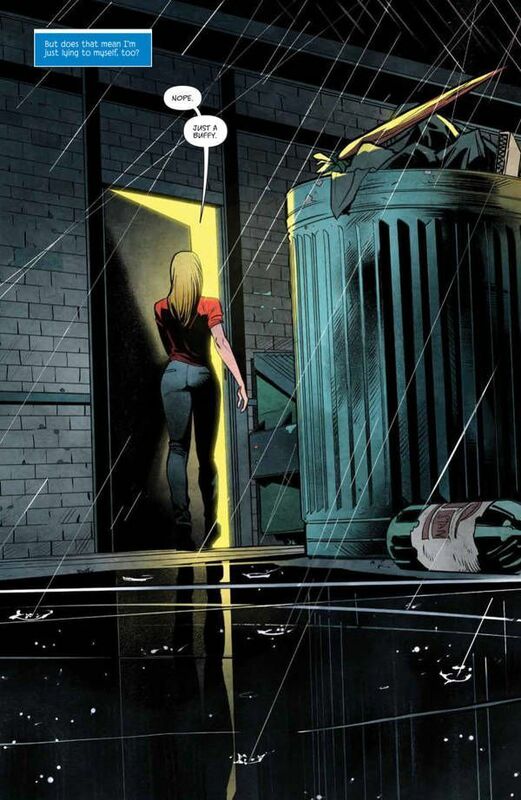 It's a nice touch that ties into the end of the comic perfectly. 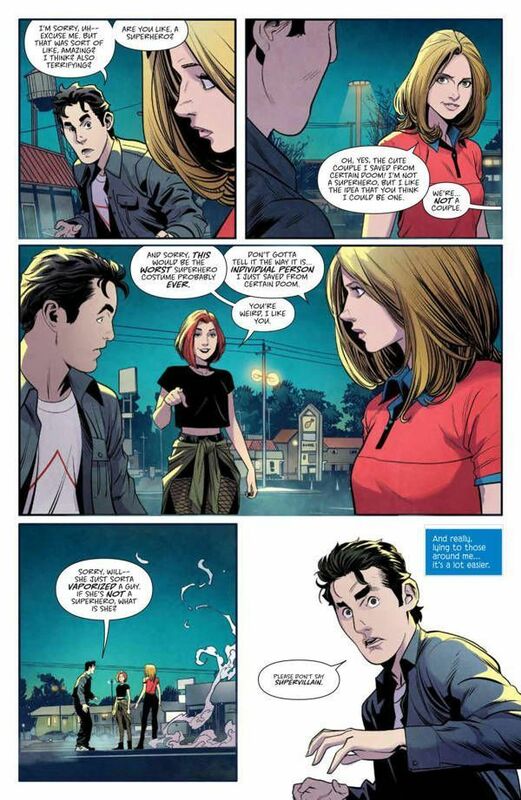 Of course, it wouldn't be a Buffy comic without vampires and we get our fair share. I was so excited when I heard that Dan Mora was illustrates this book because I've been a big fan of his for some time, going back to his work on Hexed. This is right up his alley. The vampires are more monstrous than they were in the show, shedding their human forms for an animalistic look. Our first glimpse of one of these bloodsuckers is shown in a dark panel with only the creature's teeth shown in a menacing grin. This is such a great way to introduce us to the vampires. These beings are made of muscle, teeth, and claws. To top it all off, Mora uses a really cool effect when one dies. Dust and ash swirl around it as the body fades away. Mora captured the likenesses of the characters well. There's no doubt as to who anyone is, not just for the actors that played them in the show, but with the overall personalities as well. My personal favorite is the exasperated Giles when he learns that Buffy revealed herself to two normal people. You can see him try to massage away a headache as he wonders where he went wrong in life. Colorist Raul Angulo brings out a solid mix of bright, California sun and the dreary darkness of the night. You get some scenes that are full of life and energy, mostly when Buffy is hanging out with Xander and Willow and then others that are surrounded in shadows as Buffy is stalking some vampires. It's a great blend of bubbly elements of teenage drama with horror. A new Buffy series is going to come under a lot of scrutiny, as the TV show is near and dear to so many people. I'm happy to say that this book delivers on everything you know and love about the show and then some. It has the same witty dialogue, action-packed fight scenes, and fun characters, but with a fresh, new take. It's sure to delight new and old fans alike.